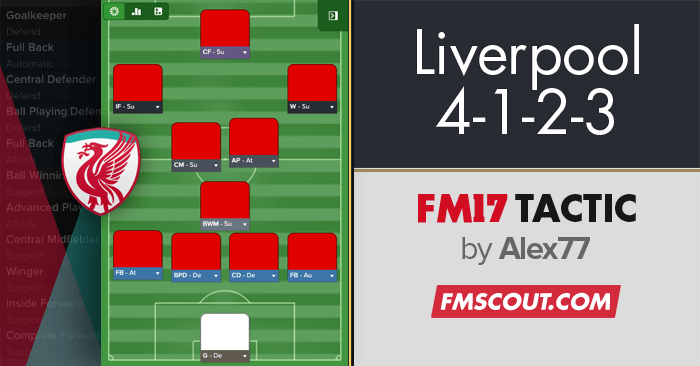 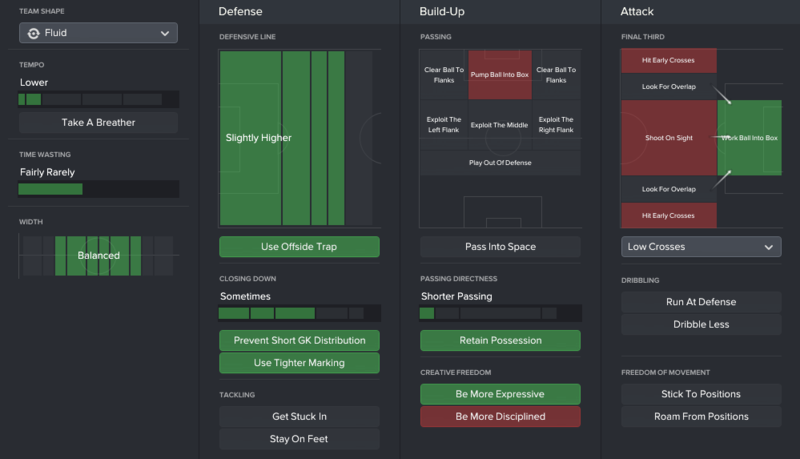 A simple possession (over 65%) tactic for FM 2017 with very solid defense, fluid shape with some player instructions on free roles and set pieces ready. 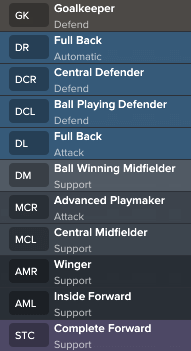 Tested in 4 seasons with Liverpool with some great results. Should work with medium or big teams. 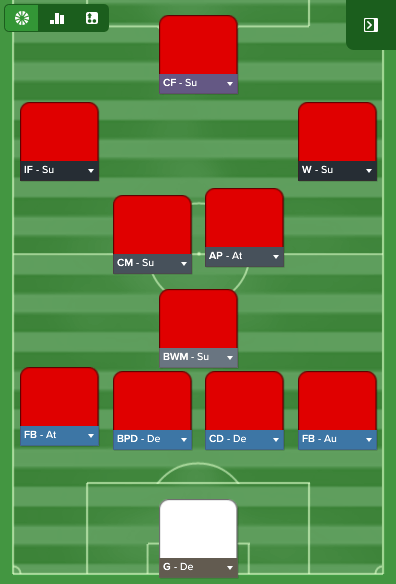 Doesn't work at the half of the Season.